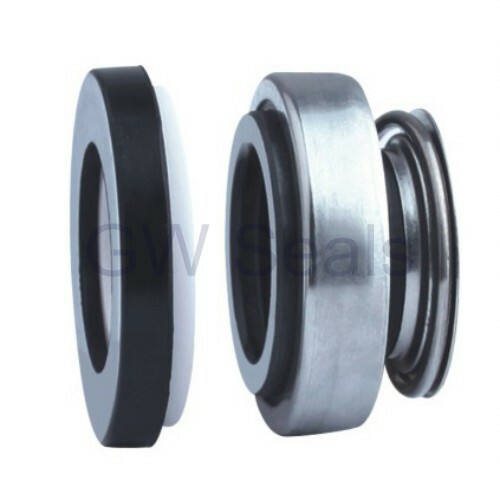 refers to a single mechanical seal with rubber bellows and arbitrary direction of rotation. 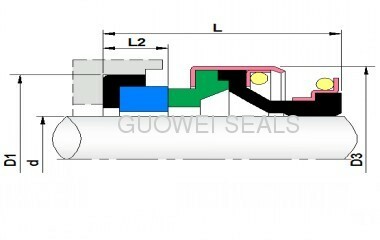 Seals with rubber bellows and reduced installed length are widely used in batch production of pumps for cold water. They are applicable to pumps for household and garden, hydro-massage baths, washing machines, submersible peripheral pumps and pumps made of plastic.